﻿ How does the POE switch apply to the Security Network monitoring field? PoE switch performance is more advanced and sophisticated, the appearance is more and more handsome. With the development of network monitoring, PoE switch applications are more and more common, so a lot of information about PoE switch can be found on the Internet. So, there are a lot of articles on the PoE switches and network monitoring, and some people say PoE switches to promote the development of network monitoring, and some others say that network monitoring to promote the development of PoE switches, then in the end who promoted who? Referred to the surveillance camera, is really all over the city streets in various places, as long as you live in the city, everywhere you can see his shadow. Although sometimes very annoying, but have to say that a variety of monitoring measures do put an end to a lot of violations of the crime, but also can provide a basis for the incident. With the planning of “Safe China”, “Intelligent City” and other projects, as well as the increased safety awareness of people, the scale of video surveillance installation and the radiation area are getting bigger and larger, the project scope of which involves the whole city, the camera reaches tens of thousands. However, not every place is suitable for the installation of network cameras, that is to say, the installation of network video surveillance equipment is constrained by the environment, which to some extent restricts its development. We know that all devices need the power to work, and surveillance cameras are no exception. In the traditional monitoring system, usually using mains power or centralized power supply, and in network monitoring, these modes of power supply sometimes can not meet the needs. Because it is network monitoring, of course, a need of network cable, if you want to supply additional cable, especially in some inconvenient power supply environment, the construction becomes extremely complex and troublesome, at this time, have to redeploy the camera installation location, this also lost the significance of monitoring. How to solve this difficulty? 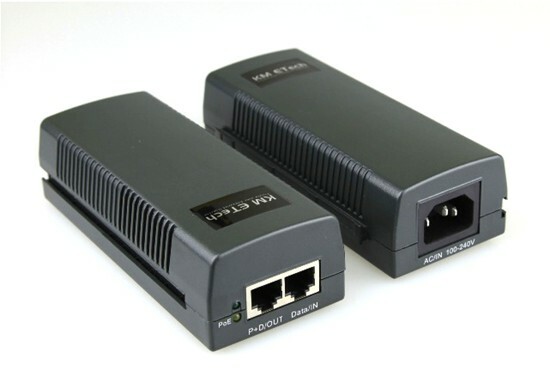 Thus, the technology of PoE, which can be powered by Ethernet, has received wide attention and attention. Through the technology of PoE Power supply, the power signal can be added to the network cable, which is transmitted to the other end of the equipment which needs to be powered. This can be an excellent solution to network monitoring power supply problems, as long as the power and data through a cable can be completed transmission, not only solve the power supply problems, and make the project easy to do, as long as the network cable to the place, you can make equipment to obtain a steady supply of electricity. In order to make PoE better applicated in the security network monitoring, PoE switches can be quickly promoted. Commonly used PoE power supply equipment includes PoE module and PoE switches, that is the most common used. PoE switch is also a kind of switch, the biggest difference between ordinary switches is that it can be a power supply, not only has the ability to transfer data. In other words, the PoE switch can not only transmit data can also power supply, which is also appropriate for the network monitoring needs, because the surveillance cameras need both power supply, there is a need to collect the monitoring data sent out. With the PoE switch, the surveillance camera can be installed at any optimal point without the need for environmental and power access restrictions. PoE switch is also favored by many system integrators because of its high performance, simple use, easy management, convenient networking and low construction cost. The PoE switch that we often refer to is the standard PoE switch, which supports IEEE802.3AF/T power supply standards, but there are also non-standard PoE switches on the market. Non-standard PoE switch Although the price is relatively cheap, but because of the existence of the hidden dangers of the front-end cameras, we recommend that you choose carefully. What is the relationship between network monitoring and PoE switch? Our view is that they are two different concepts, but can promote each other, but it is necessary to note that network monitoring is not a PoE switch can still be done, and the PoE switch is not network monitoring, its application will be greatly compromised. It can be understood that the PoE switch is a transmission power supply device for network monitoring.